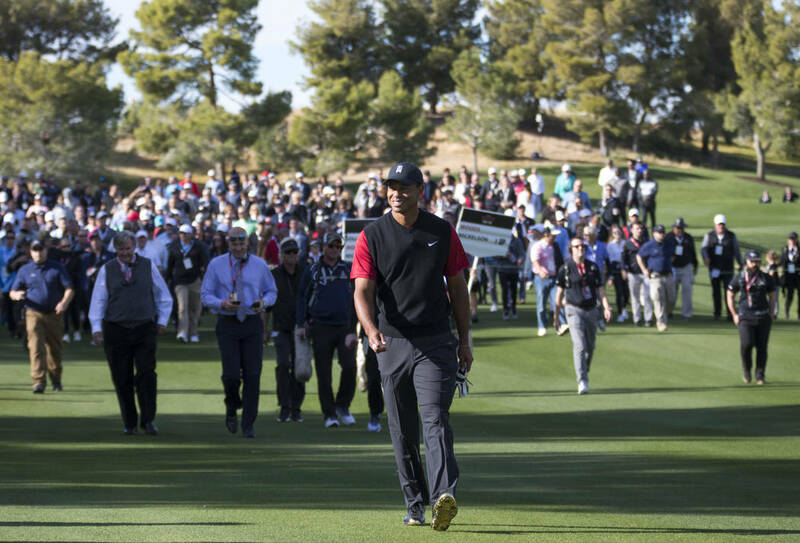 Tiger Woods and Phil Mickelson raised $800,000 for charitable causes through side bets that, like Charles Barkley’s commentary, were supposed to make their $9 million golf match more interesting. The last time some of us media types were allowed onto the hallowed bent Bermuda of Shadow Creek Golf Course, Bruce Jenner appeared to be transitioning into Caitlyn Jenner and Michael Jordan wrote another big check for charity — as he would do after each installment of the Michael Jordan Celebrity Invitational. By 2014, more than $7 million was raised for charity. 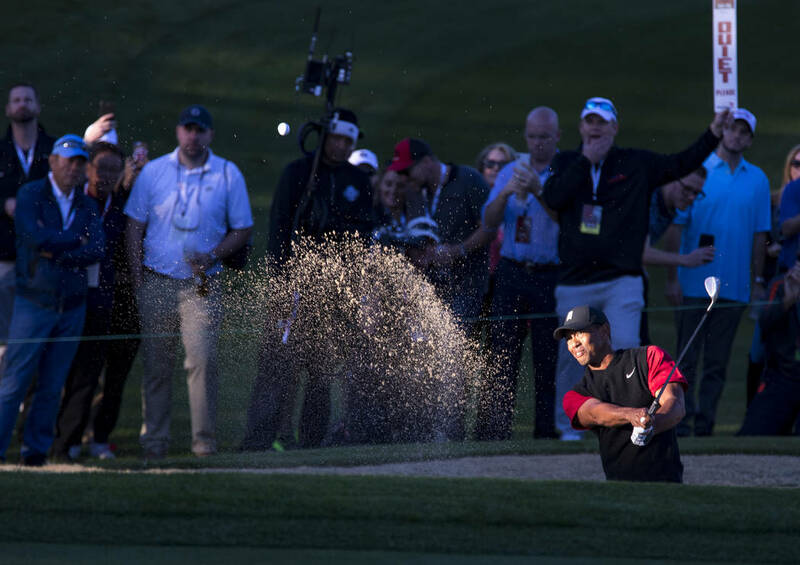 On Friday, Tiger Woods and Phil Mickelson raised $800,000 for charitable causes through side bets, most of them about who could hit a golf ball closest to the hole. Which on this day, was easier said than done by these two. Like Charles Barkley’s commentary on the pay-per-view (for some) broadcast, the wagers were supposed to make their winner-take-all $9 million match more interesting, and perhaps even advanced the discussion of whether side bets should be allowed in PGA Tour events. Which Phil and Tiger quickly un-advanced during the postmatch news conference. “No. Absolutely not. No,” Woods said. 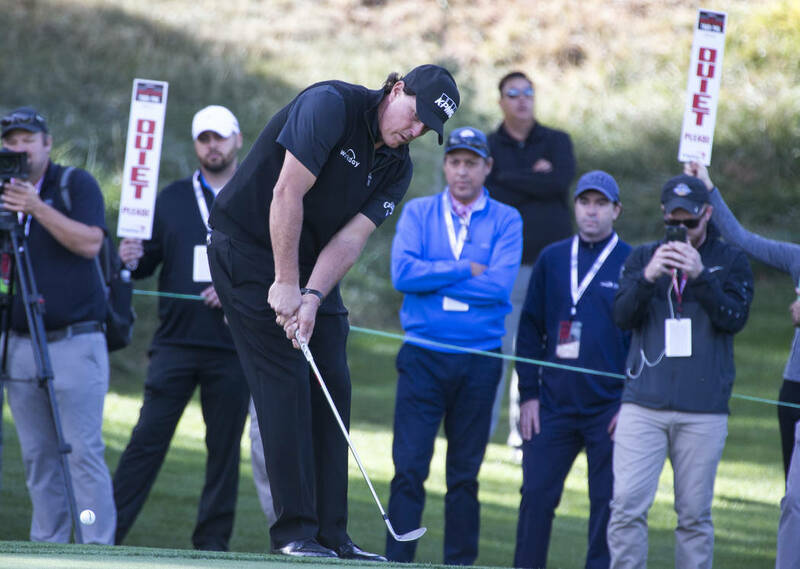 “Because in a regular tour event, it’s not match play,” Mickelson added. “It’s not head-to-head. It’s 150 people in a field. It’s stroke play. Maybe at the match play event you could do stuff like that, but I don’t think it’s necessarily the best thing. Plus — and despite the fact betting on sports is getting more mainstream than a salmon during a spawn — there’s still a negative connotation to it. The guy who asked the question about side bets referred to them as “challenges.” Same with the broadcast crew. So it's sounding like I made a wise decision not to buy the Tiger/Phil match. Heard there was no side bets for the final 14 holes. Turner Sports ended up streaming it for free online. And there was hardly any trash talking? One of life’s new simple pleasures is cutting the cord from your TV provider, sitting down at the computer and pulling in the signal from the Golden Knights at Edmonton or Calgary game with a few strokes on the keyboard. 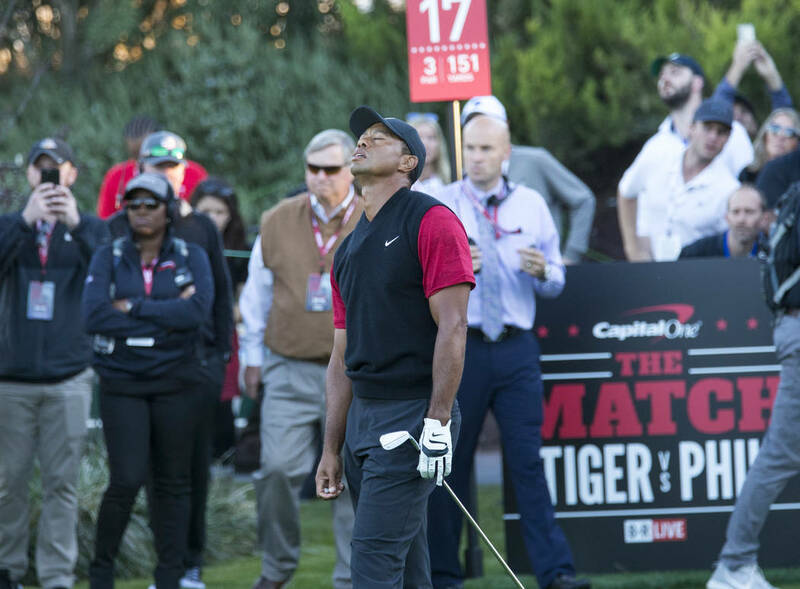 This self-evident truth apparently was discovered by golf fans Friday when the purchase function for Bleacher Report’s live stream of the Tiger Woods vs. Phil Mickelson match malfunctioned and the decision was made to provide it for free. Mickelson didn’t know this when asked about the future of pay-per-view golf after he defeated Woods in a playoff that finished on a lighted makeshift hole featuring a practice putting green at Shadow Creek (but not a rotating windmill). “I guess it will depend on if people enjoyed it and want more, but I just don’t know what that is right now,” he said. Las Vegas resident Olga Connolly, who threw the discus in five Olympiads — once for the former Czechoslovakia, four times for the United States — was among the members of the 1968 U.S. Olympic Team who gathered for a 50-year reunion in Colorado Springs recently. That Bud Greenspan guy couldn’t have said it any better in one of his documentaries.